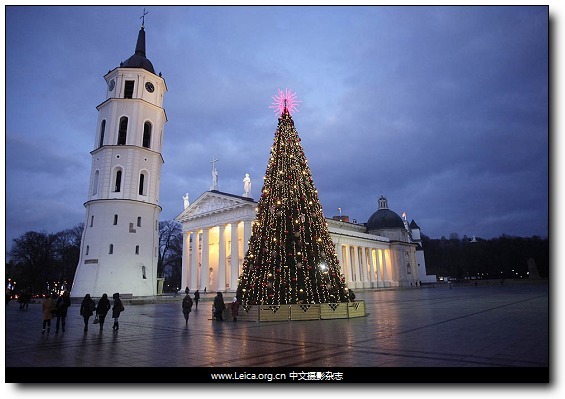 A plane flies over the northern New Jersey sky with the full moon in the background, in Newark, N.J.
People walk past a Christmas tree erected on Cathedral Square in the Lithuanian capital. 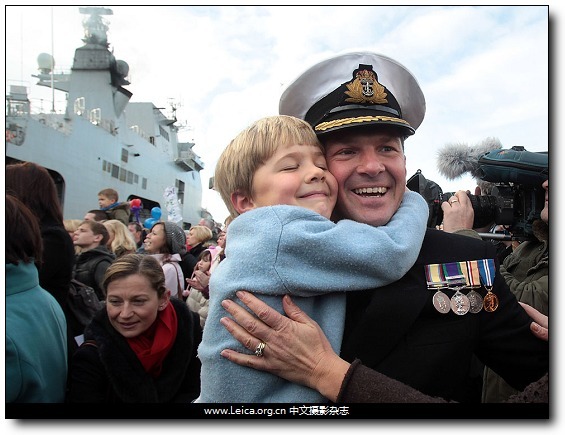 Andrew Betton, captain of the British naval vessel Ocean, is greeted by his 5-year-old son, George, as the ship returns home. 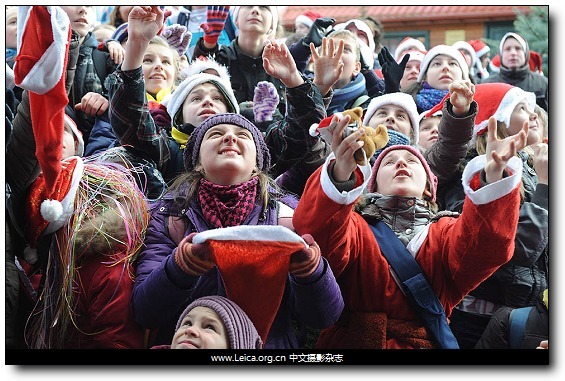 Children wait for sweets to be tossed out during the eighth National Santa Claus Congress organized under the auspices of Children's Ombudsman Marek Michalak at the Center for Education and Regional Promotion. 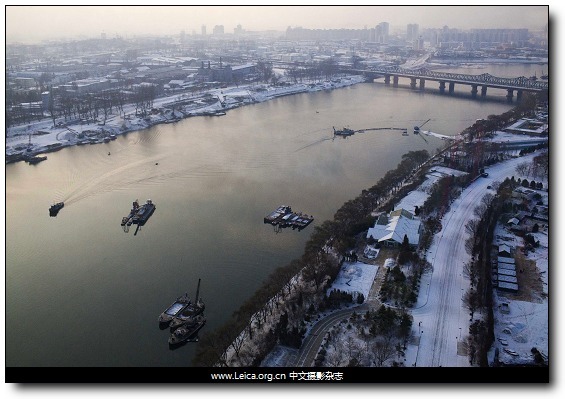 Snow blankets Pyongyang, North Korea along the banks of the Taedong River as the sun rises. 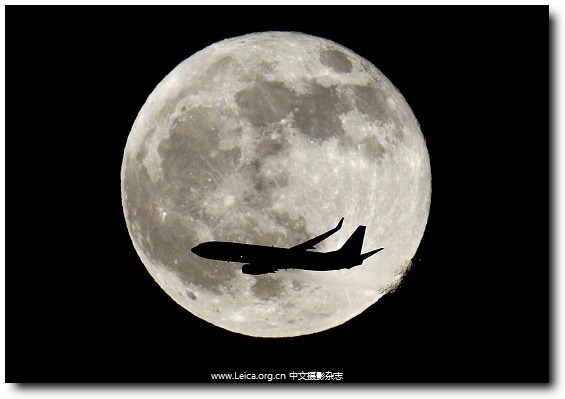 This entry comes from 中文摄影 and has been read for 50668 times.It tagged with time , 新闻摄影 , 一周精选.